The Datsun 240Z & 260Z Register of WA is an incorporated club of 240Z and 260Z owners who have been meeting since April 2002 to share their knowledge and passion for these cars. Among the membership are owners competing in historic racing events, regularity and hill-climbs, restorers with better than new cars and those who simply want to keep a tidy unit on the road. We are a Perth based club with monthly meetings held either at the Belmont Sports & Recreation Club at 6:30 pm on the second Wednesday of the month or alternatively at a venue or classic event of interest to members. Check the calendar for exact times and dates. 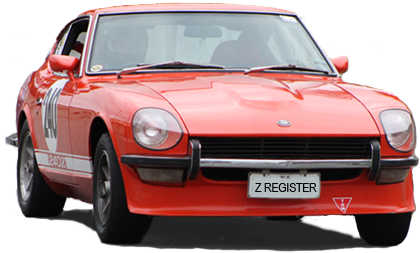 Register membership is open to owners and potential owners of Datsun S30 vehicles ( 240Z, 260Z and 260Z 2+2 ) manufactured between 1970 and 1978. To promote the preservation and restoration of Datsun 240Z and 260Z sports cars for exhibiting, touring, and for the enjoyment of register owners and motoring enthusiasts. If you would like to contact the register, or join the mailing list, send us an email at contact@wazregister.com or see the Contact page for individual email addresses.